These two manicures are similar but use different techniques. I liked the bright colors. As you probably already know I like to wear dressy/ casual styles. 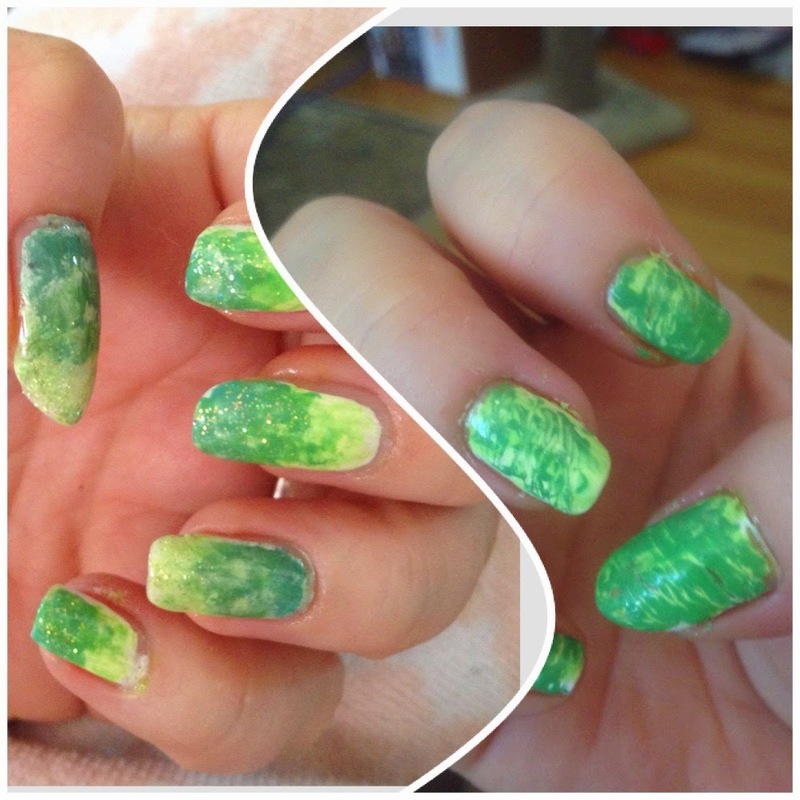 The first one is an ombre nail design, the second a water marble design using no water. 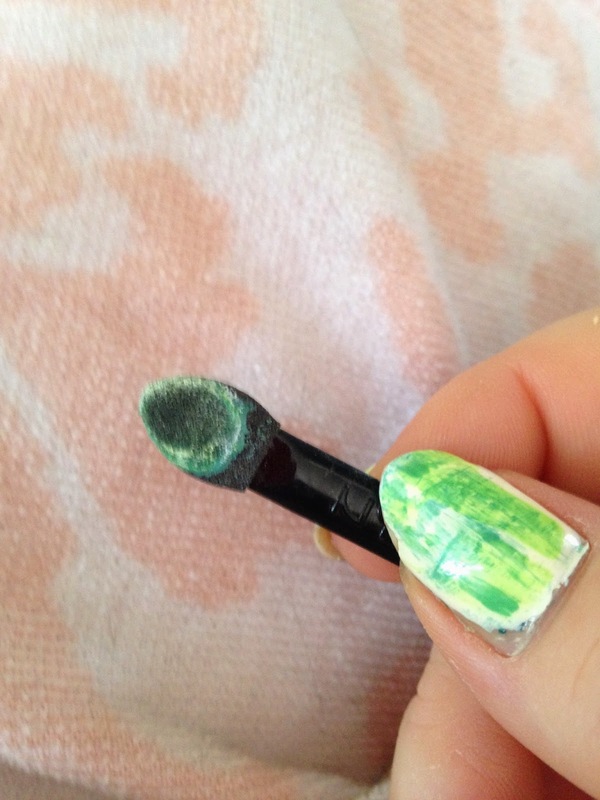 - Once white polish is dry, brush the makeup sponge with some dark green polish (I used an eye shadow sponge applicator) and dab onto to the nail - closer to the cuticle. 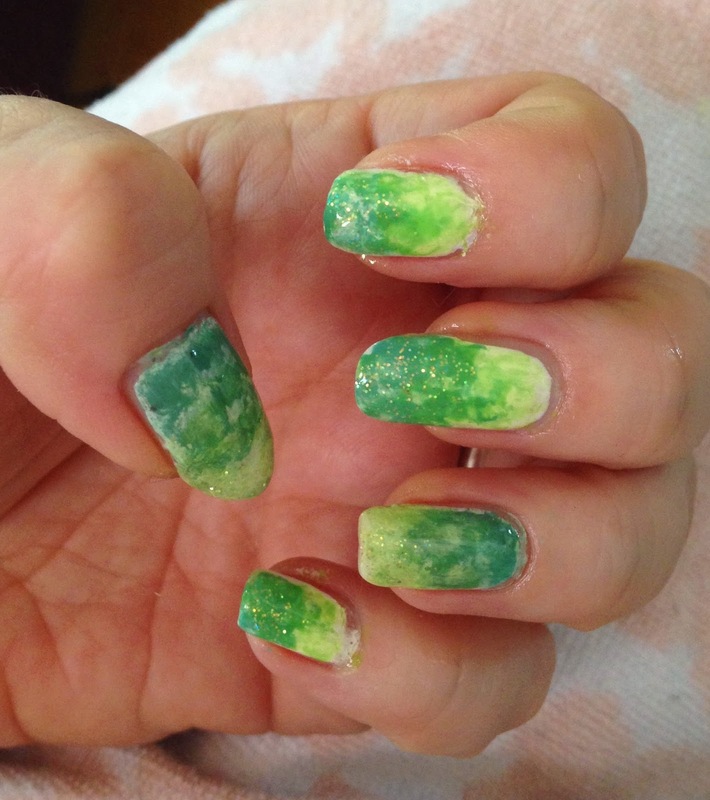 - Then repeat closer to the tip of nail with light green polish. - Repeat with each polish until you get the desired results. - This step is optional, apply glitter polish to nails. - Apply a base coat to the nails. 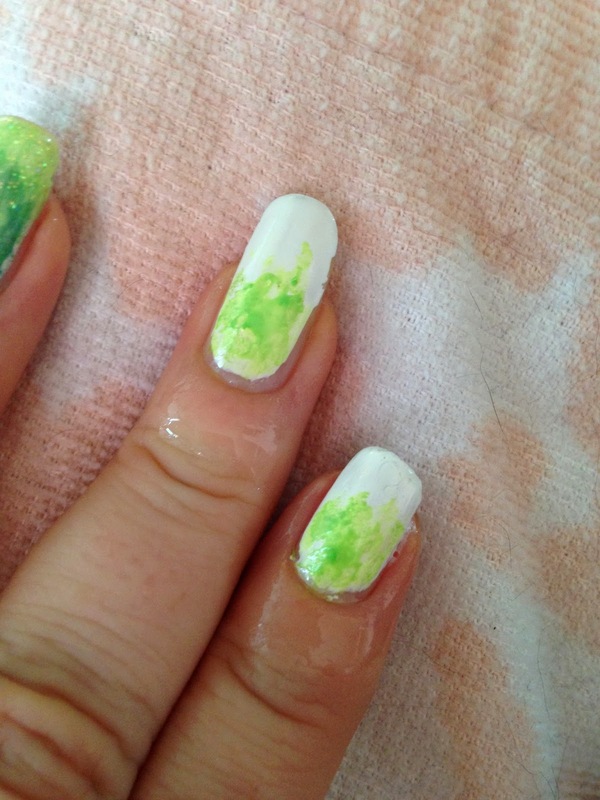 - Once white polish is dry, make some small globby dots with both green colors(I didn't do this in any special order). - Using a toothpick or pin, gently pull the tip through the polish making swirls. - Repeat until you achieve the look you want. 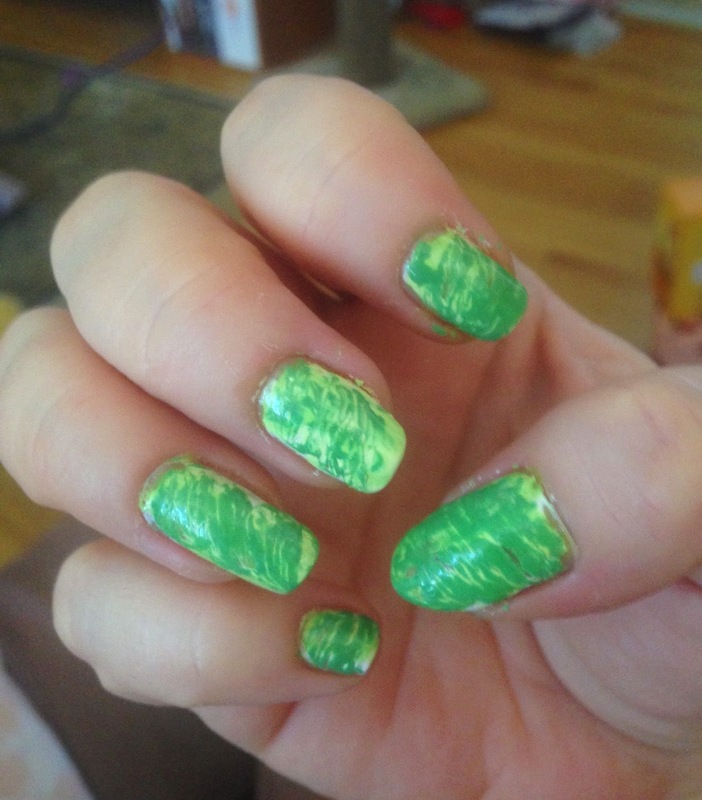 - I also made vertical and horizontal lines in some nails instead of swirls. Which manicure did you like? Which Manicure do you like?